Festuca rubra; from Claridge (1961a). Well delimited short swelling of the lowest internode of the culm, containing a single gall chamber. The larva hibernates in the gall and pupates in the spring. Festuca glauca, heterophylla, ovina, polesica, rubra, stricta subsp. sulcata, valesiaca & subsp. parviflora. 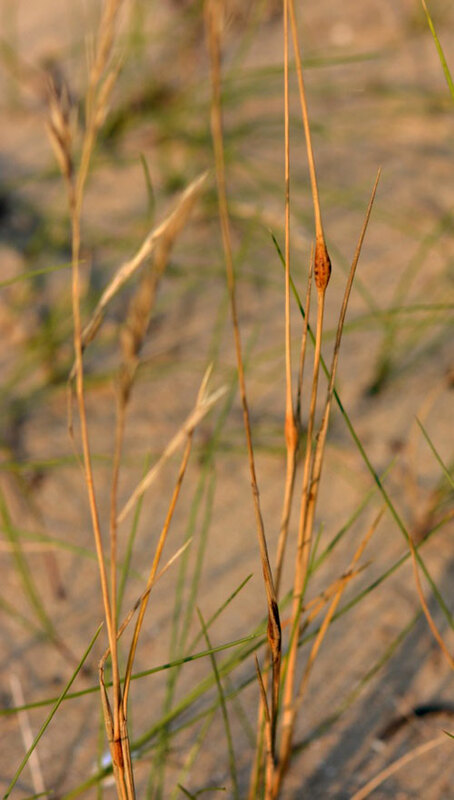 Buhr mentions the species (as hieronymi) also from Festuca sciuroides. According to Euro+Med PlantBase (2017) this is a synonym of Vulpia bromoides. Because Tetramesa species tend to strict monophagy, the latter association is doubtful. Harmolita, Isosoma, Tetramesa, hieronymi Walker, 1836.